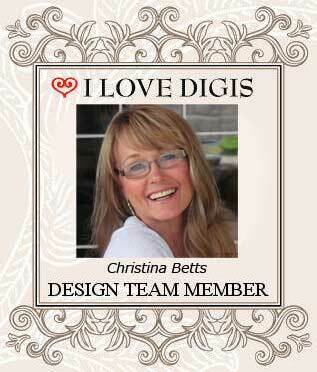 Christina Betts joins the I Love Digis Design team! Christina wow’d us when we saw her entry into our first art challenge for Halloween at Roxy Furlong’s Your Paper Pantry and Card Spirations. We invited Christina to join our design team and are thrilled she accepted! Her latest project using my sister Catherine’s Doodle Pop art, Girlie Pop, was just so adorable it made me smile inside to see such a beautiful creation! We can’t wait to see what else Christina has in store for us at I Love Digis in the future! Please read more about Christina at our Design Team page. This entry was posted in Christina Betts, Design Team, Design Team Members and tagged Design Team by SusieQ. Bookmark the permalink. Congratulations, Christina! Love watching your videos and your creative process, always fun to watch! Can’t wait to see what you create with the adorable digis here.